2019 is a huge year for Dolfans NYC. We were founded at the end of the 2008 NFL season making 2019 our 10th full year of doing weekly watch parties and group ticket events for the Jets (and Giants) games. This will be our biggest year ever and we got some surprises in store for everyone. In 2019 the Dolphins play the Jets Week 15 (December 8th) and the Giants Week 16 (December 15th). We will be primarily focused on the Jets game where we will do our normal #MetLifeTakeover events, however we will also be doing a big tailgate party around the Giants game. We MIGHT be doing some group ticket sales for the Giants, but last time we played at NYG they had almost no group tickets available. As soon as we talk to the Giants group ticket sales team we will update this. For now, put the dates on your calendar, and if you have to pick just one, pick the Jets game. We will let you guys know about ticket sales as soon as we have all the information. Thanks and Let’s Go Dolphins! The #MetLifeTakeover is Dolfans NYC’s yearly trip to the Dolphins at Jets game in New Jersey. We take over three sections of MetLife Stadium and average about 1000 fans all sitting together. We throw a massive tailgate before the game as well as a pregame party at our bar Slattery’s Midtown Pub. 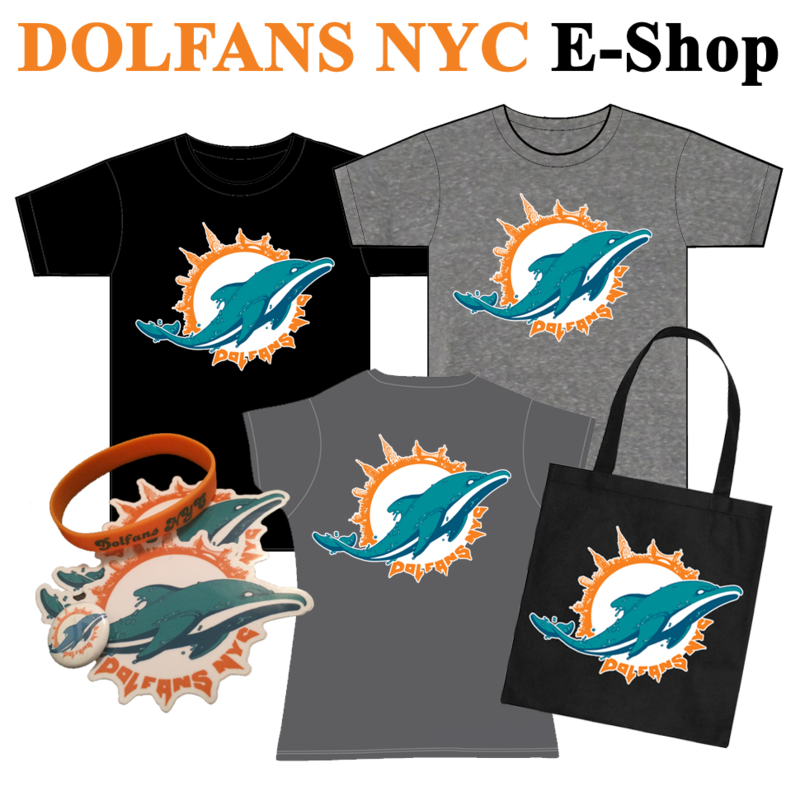 With the money raised from ticket sales, tailgate and Dolfans NYC merch we have been able to donate tens of thousands of dollars to different charities and are actually a non-profit charity ourselves. Past tailgate guests have included Dolphins owner Stephen Ross, CEO Tom Garfinkel, SVP and Dolphins legend Nat Moore and players such as Sam Madison, Jim “Crash” Jensen, Joe Rose and more. We even had Dolphins minority owner Fergie come out one year! And lastly if you haven’t been to a #MetLifeTakeover before, check out what you have been missing. The 2018 #MetLifeTakeover video is below, but we have a ton of past videos you can check out here.